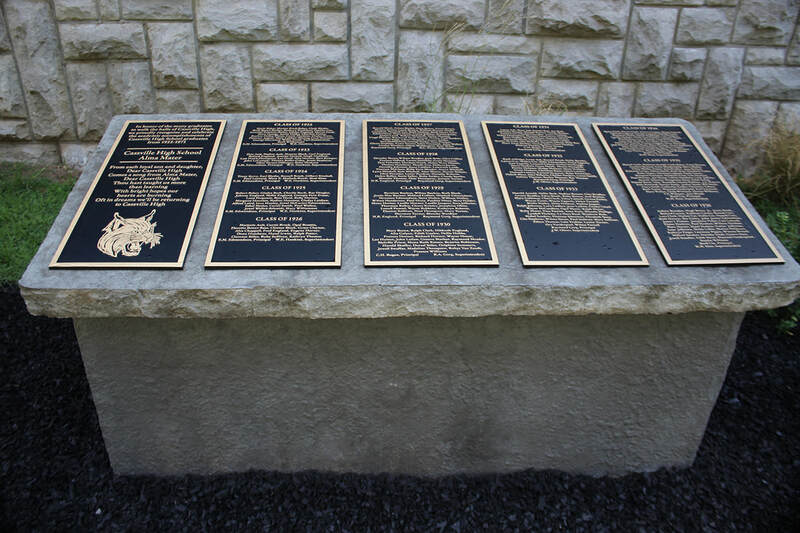 The Cassville Schools monument project is finally complete after they were forced to remove the commemorative sidewalks for former graduating classes. 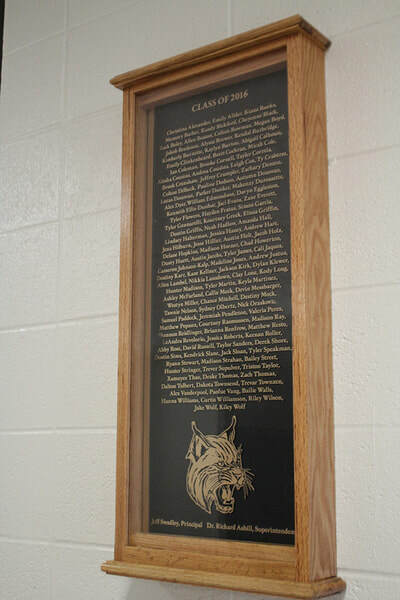 The new monument with students’ names from graduating classes 1922-1971 was erected along the wall of the Rock Gym which also serves as the District Office. For over 90 years, graduating classes of the Cassville R-IV School District stamped their names into commemorative sidewalks throughout the campus. Some sidewalks lined next to the J.C. Duncan Rock Gym, others were by the high school building. However, when the Missouri Department of Transportation planned a project to made the sidewalks on Cassville’s Main Street from 5th to 17th Streets ADA-compliant, the sidewalks with graduates’ names were going to have to be removed. As the sidewalk project progressed, a few community members stepped up to move the existing sidewalks which are now displayed at the Barry County Museum. However, due to the age of the sidewalks, many of the names were not readable and some sidewalk slabs crumbled from age. The school budgeted for the project, which cost approximately $28,000. Individuals donated to help cover the cost, as well. 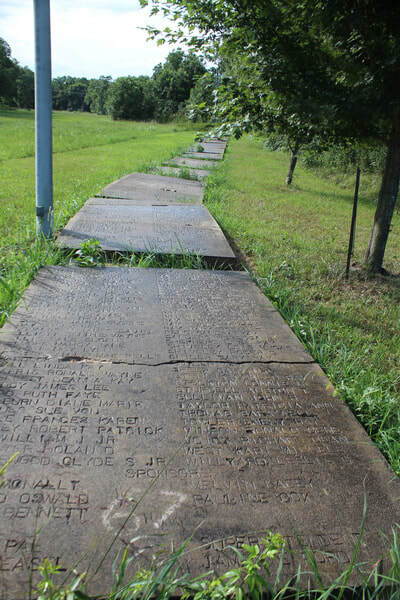 To preserve history in a more lasting way, the school formed a committee to analyze the sidewalk project and plan a monument with graduates’ names instead of pouring new sidewalks or trying to save existing ones. Cassville graduating classes from 1922 to 1971 have their names on the monument. The Classes of 1972 through 2015 still have their sidewalks intact, so they were not included in the project. Cassville’s Class of 2016 was the first class that opted to put their names on plaques instead stamping sidewalks. The Class of 2017 did the same, and Cassville’s assistant superintendent Jill LeCompte said they will no longer offer the option of sidewalk stamping. 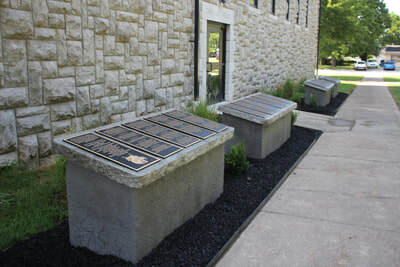 The plaques will be displayed inside the high school for one year after a class graduates until the plaques are moved to the outside of the building and installed on the outer wall of the high school. Cassville students learning woodworking built the case to hold one plaque inside the building. To view the monuments featuring Cassville classes 1922 to 1971, they are finished and along the west side of the District office on the corner of Main and 14th Streets.